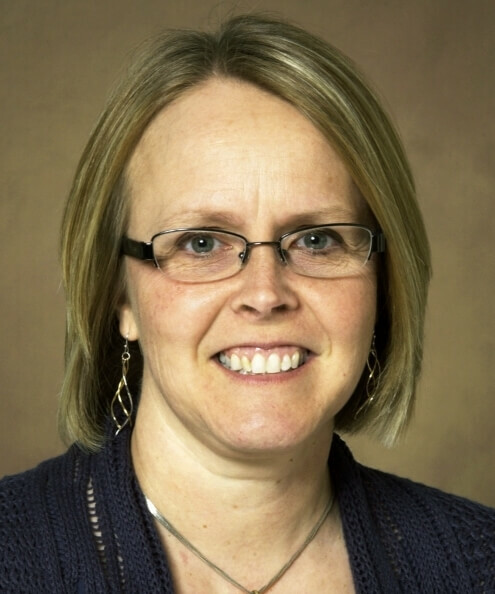 Mari Borr is an associate professor at North Dakota State University in family and consumer sciences teacher education. She is originally from North Dakota, received her bachelor’s degree in home economics education and master’s degree in FCS education from NDSU, and her doctorate in teaching and learning--higher education from the University of North Dakota. She taught middle school and high school FCS classes for 14 years before starting her career with NDSU. Borr's research interests include incorporating math and science into FCS courses, the use of technology in teaching and online teaching and learning. She is the only FCS teacher educator in North Dakota and teaches a variety of FCS methods courses, both face-to-face and online, at both the undergraduate and graduate level. She has been an active, office-holding member of the Association for Career and Technical Education Research and the National Association of Teacher Educators for Family and Consumer Sciences. She is an associate editor for the Family and Consumer Sciences Research Journal.